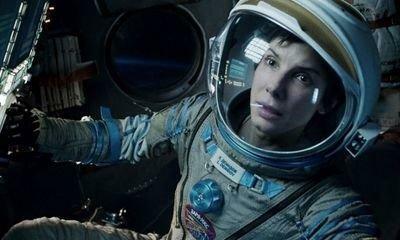 Goldman Sachs and an investment firm backed by Comcast, the new owner of Sky, are vying to buy a British visual ‎effects producer whose credits include the Hollywood blockbusters Gravity and Interstellar. Sky News has learnt that Goldman's principal investment unit and Atairos, an independent fund whose investors are led by Comcast, are close to tabling offers for Foundry. The imminent bids, which are expected to value Foundry at up to £350m, will come more than four months after Hg Capital, its current owner, hired advisers to explore a sale. Foundry, which counts Google, Pixar and Sony Pictures Imageworks among its clients, is accustomed to private equity ownership, having been sold to Hg in 2015 by Carlyle, another buyout firm. Set up in 1996, the company is based in London, and has offices in Manchester and Austin, Texas. Foundry provides post-production and software services, and has worked on a string of successful films, including the Harry Potter franchise, Guardians Of The Galaxy and Star Wars: The Last Jedi. Since 2017, it has been run by Craig Rodgerson, who joined as chief executive from Capita, the outsourcing giant. Foundry boasts a heavyweight board which is chaired by Karen Slatford, a former Hewlett Packard executive. Its deputy chair is Alex Mahon, who is also chief executive‎ of Channel 4. Insiders said that four bidders had been shortlisted to submit formal offers for Foundry. The inclusion on the shortlist of Atairos, which is run in Europe by Melissa Bethell, a board member of Tesco, is intriguing. Atairos has backed a number of growth-focused companies, including the world's biggest operator of bowling centres and Groupon, the deals website. Its funding is provided by its founders, who include Comcast's former chief financial officer, Michael Angelakis, as well as the US-based media giant itself. Funds managed by Goldman Sachs‎ are also involved in the Foundry auction, as is Charterhouse, another private equity firm. Atairos and Goldman declined to comment.